"Was totally surprised over how good these looked! 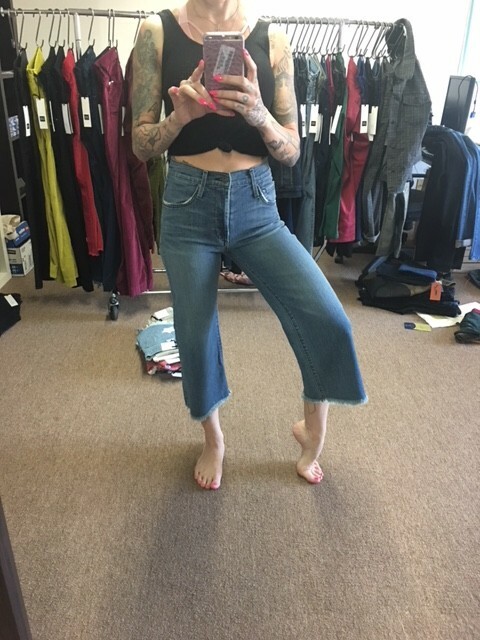 Culottes are typically hard to wear but these seem very versatile and the vintage Melrose wash keeps them casual and easy to wear. True to size and just an FYI these are a higher rise as you can see in the photo."